Episode 014 COMEDIC STORYTELLING (2 of 2) - Mike Guild: Stories of Sad Boy and Angry Man – Let's Talk About Sets! Master comedic storyteller, Mike Guild, continues a fantastic discussion on COMEDIC STORYTELLING. In a deeply personal episode, Mike applies Dan Harmon’s story circles structure (link below) to two intimate and funny stories by the hosts. The first of which has Harrison as a sad boy, and the second of which shows when Jeff was an angry man. 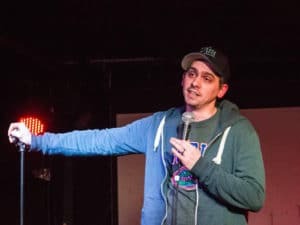 Mike Guild is a comedian, writer, and storyteller based in Queens. He started comedy at the unripe young age of 14! 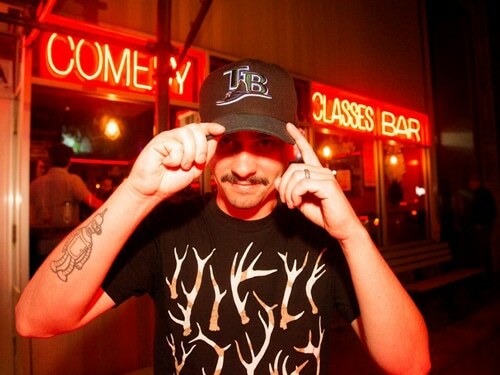 He’s performed all over the USA, crushed it at The Moth NYC, produced multiple podcasts and shows, and he can regularly be found performing at the venerable Creek and the Cave comedy club in Long Island City. He hates the Internet. Thanks, thanks, and even more thanks to Mike Guild for all his patience with the starts and stops that came with recording these two episodes. Special thanks to Dave Chappelle and his unwitting contribution to the first part of this series; and, as always, an obsequious kowtow to Salt N’ Peppa for continuing to remain ignorant of us fairly using a tiny sample of their song for an overtired pun.